“Ms. Rob,” as she is affectionately known, as been like a surrogate grandmother to my girls during the five years we lived in Virginia. She is the switchboard operator at the school where we lived and after lunch in the dining hall, we would often go by the switchboard and Ms. Rob would have crayons and paper for the kids, and often a sticker or lollipop as well. 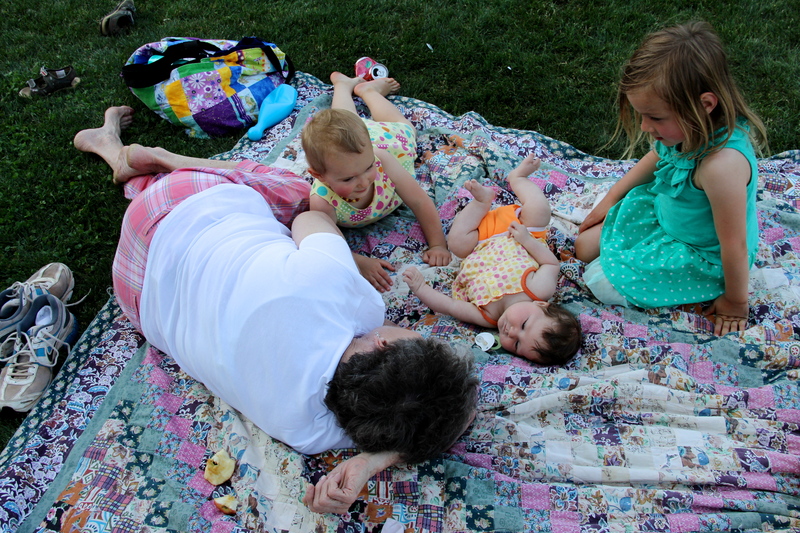 She loves all the children at the school, both the students, and all the children of faculty. She was sad to see us go, but she gave me something that I always remember her for. 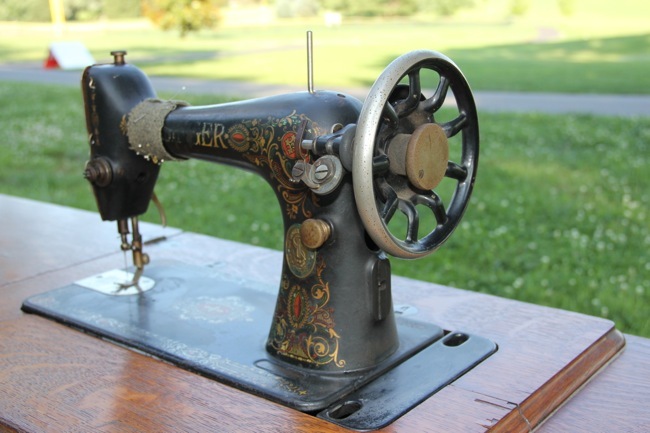 She had originally brought it home for her husband, but he preferred hand sewing to machine sewing, so it stood unused in her house. 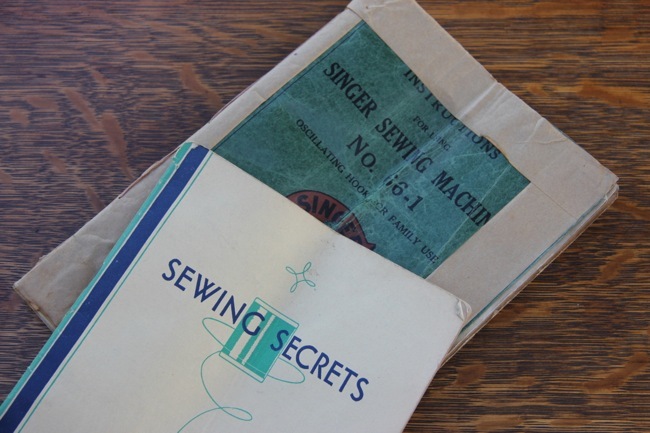 Inside one of the drawers, there was a well-used manual and a “sewing secrets” book, which I have yet to look at in depth. …with the accessories to the machine. 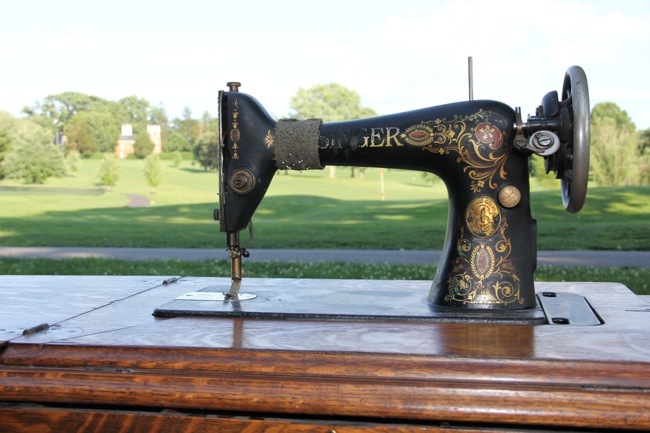 Inside the cabinet, is this absolute gorgeous Singer treadle sewing machine. 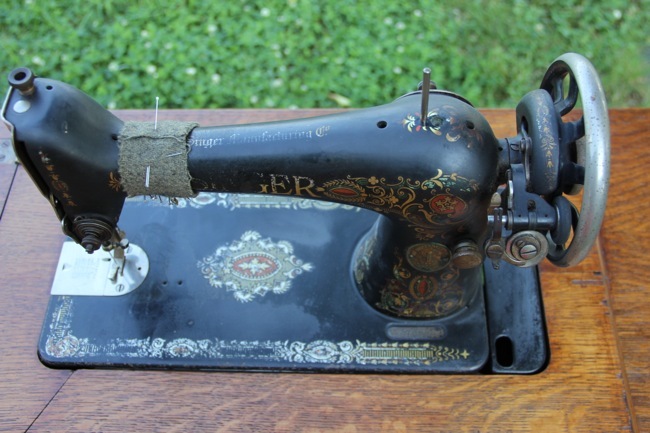 I have never attempted to sew with a treadle, but wow, I am so excited to try it out when we have a new place and I can unpack my sewing room. As best I can figure out from the serial number, this machine is close to 100 years old! 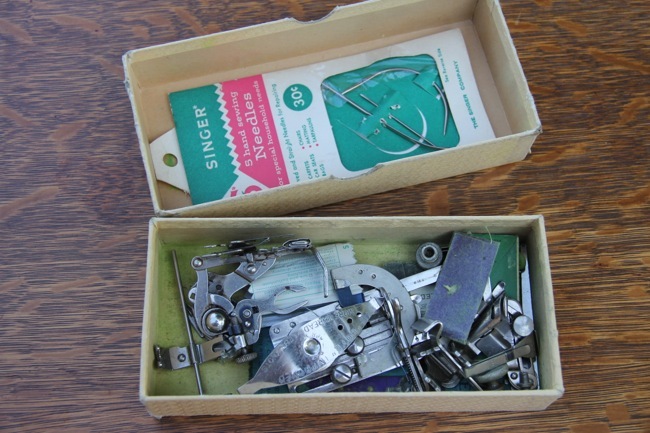 It is a treasure and I am so grateful to have a little piece of sewing history! wow! Very cool!! 🙂 What a nice friend! We should compare boxes of accessories for our old machines sometime, look like we have some similar ones, though my machine is 40+ years newer and uses good old electricity rather than food power. Very nice gift. I don’t know too much about older machine, but it seems I’ve seen this kind on a message board and they called it “Red Eye” and I was thinking they have a nice price tag. Don’t quote me because I’m not sure. What a beautiful machine! 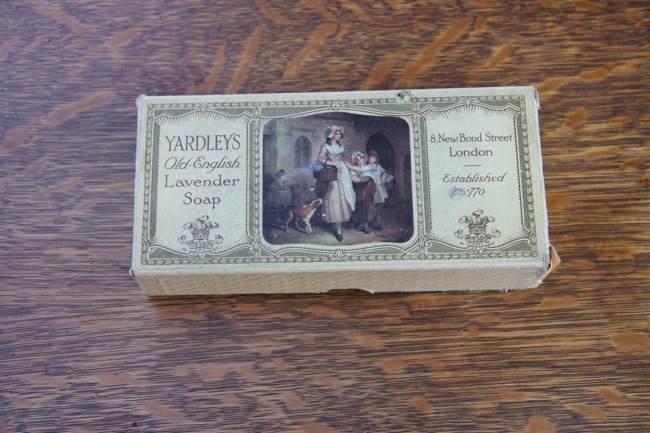 I have heard that treadle machines are wonderful to sew with because of how you control the speed. Good luck with it, and enjoy! Oh wow!! What an awesome parting gift!! She’s a beauty!! Good luck with your move…I am in the middle of one too, with me delicious sewing stuff packed in a dark box. 🙁 I feel your pain and hope it goes smoothly for you!! I’m here via the blog hop (hopping over early to some of you-all who are at the end! You shouldn’t have to wait for comment love!) and have had fun looking through your recent posts. This sewing machine is incredible. 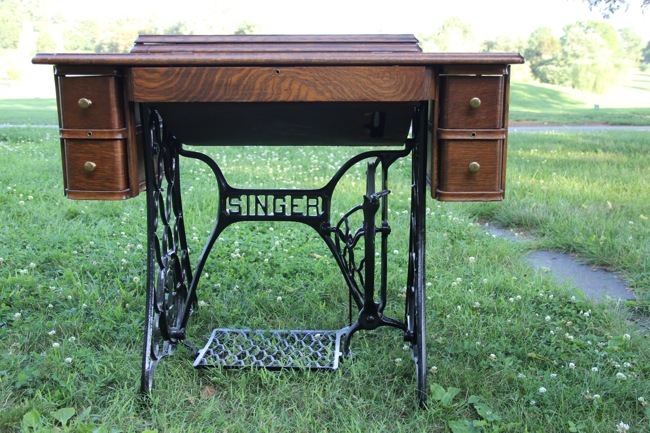 My mom has an old treadle Singer but it stays in its table, and she uses the table as bedroom furniture. It’s gorgeous, but I always had fun working the treadle as a kid, and wonder if it would sew. Hope you give it a try once you get moved and settled. Oh, my what a fantastic parting gift you have there. And it is in beautiful shape, too. You must look up the Singer listing of the serial number to determine when and where it was built. It appears from your photos that it needs the belt. You can see the two holes where it goes from the hand wheel down to the treadle wheel. When you get that belt you’ll see that it comes apart and reattaches by means of what is essentially a sturdy staple. I actually learned to sew on one of these many, many years ago. I was 4 years old according to my mother’s telling and just had to use that amazing device. I never knew what happened to it, but last year my brother gifted me with one he had bought at an auction. Bless him he refinished the cabinet top because the machine had been neglected. It is beautiful. All of the decals are in perfect condition, too. I wish you many years of enjoying your treadle. They are the best if you ever have a power outage!